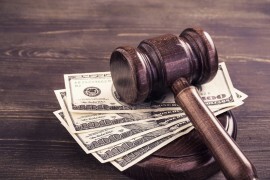 Blockchain protocol CoinAlpha has received a $500,000 fine and a cease and desist issued by the US Securities and Exchange Commission (SEC) for alleged breaches of securities laws. According to the order, the fund operated without an exemption from registration, as well as without proper security checks on its investors. Allegedly, California-based CoinAlpha has not verified sufficiently any of the 22 investors from five US states who raised $600,000 from October 2017, when the fund was created, to May 2018. The investors purchased limited partnership interests in the fund in exchange for a pro rata share of any profits from investments in digital assets. CoinAlpha filed a “Notice of Exempt Offering of Securities” with the SEC in November 2017. This exemption from registration was not granted, however, which led to the breach of the federal laws in question. The firm has since stopped all activity on its site and social media, as it conducts a review of the whole firm. CoinAlpha also voluntarily reimbursed all the fees it had collected and made payments to ensure that no investors suffered a loss. Due to this behaviour, the SEC has accepted the firm’s settlement offer, although it does not admit or deny the SEC’s findings in the case. On Twitter, Michael Feng, CoinAlpha’s co-founder and CEO, sought to add clarity to this matter. Feng explains that CoinAlpha Advisors is a wholly separate entity from CoinAlpha Inc, the VC-backed technology company which is “our core business”. The SEC cease and desist was specifically against CoinAlpha Advisors.